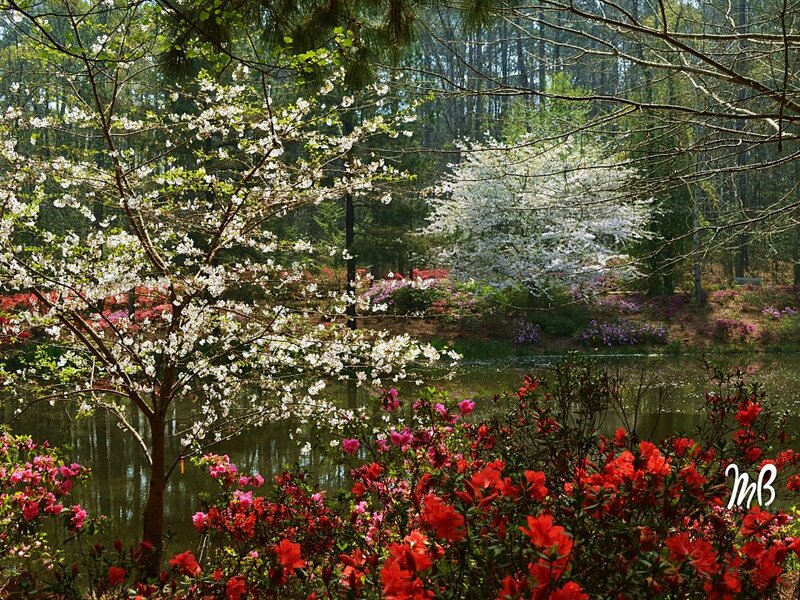 While this photo is beautiful it wreaked havoc on a lot of people.This shot was taken in Callaway Gardens, located in Pine Mountain Georgia. This is one of my favorite places to visit. This particular day the pollen count for Georgia was extremely high. You can see some of the pollen floating rather thickly on this small pond. Georgia reached a record high this Spring season with a pollen count of over 9000, which I am sure is an allergy sufferer’s worst nightmare. I work at an Allergy office, so I see a lot of people having problems every year around this time. This year Spring arrived earlier than usual. Trees bloomed earlier than the years before. Cars, sidewalks building all were covered with a nice shade of yellow-green. The sky was a hazy shade of pale yellow. The wind stirred up pollen dust clouds all over the place. With all of the rain we received a few months ago it’s no wonder everything bloomed in full force creating a frenzy of pollen. I’m sure, the trees, flowers and weeds loved it. Allergy sufferers , not so much. Most of the Spring flowers have come and gone and the official day of Spring has only been here about two weeks . I hope this is not an indication of what the Summer months will be like. If so it is going to be a scorcher and probably early as well. Enjoy the photo, and allergy sufferers stay inside.